Sun, June 10, 2018 at 2pm. Michael Stewart holds the positions of Organist and Director of Music at the Wellington Cathedral of St Paul and is also Music Director of the Tudor Consort. He was awarded a Bachelor of Music degree with first class honors from the university of Canterbury and then pursued study at McGill University, Montréal where he was awarded a Master of Music degree. During his time in Montréal he was assistant organist at The Church of St Andrew which boasts the finest music programme in the country. He has recorded for the Canadian Broadcasting Corporation and RNZ Concert and has produced two organ CDs. His particular interest is in 20th century French organ music and also the French baroque period. 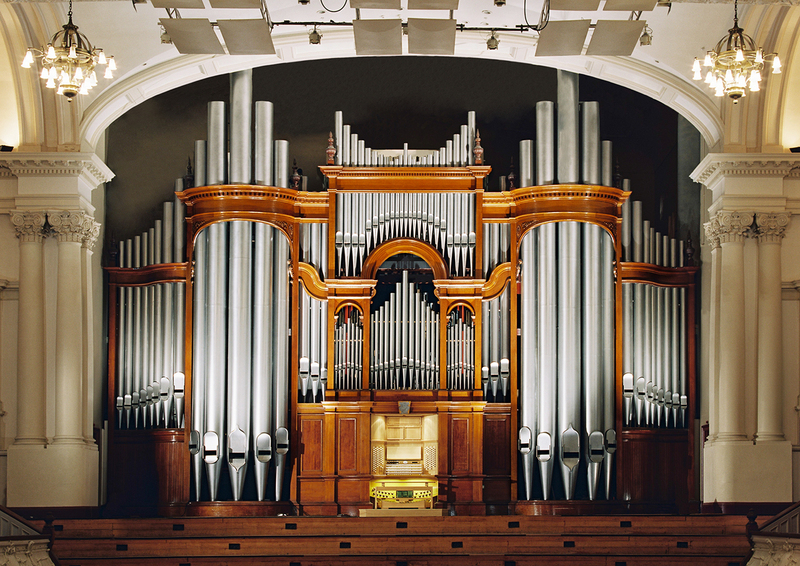 In recent years he’s performed the complete organ works of JS Bach and Mendelssohn in Wellington Cathedral. Michael Stewart returns to play the Town Hall Organ following a very exciting concert on this organ in 2012.